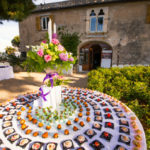 A wedding in a castle in front of the Mediterranean sea… it’s not just your imagination, it could be real! 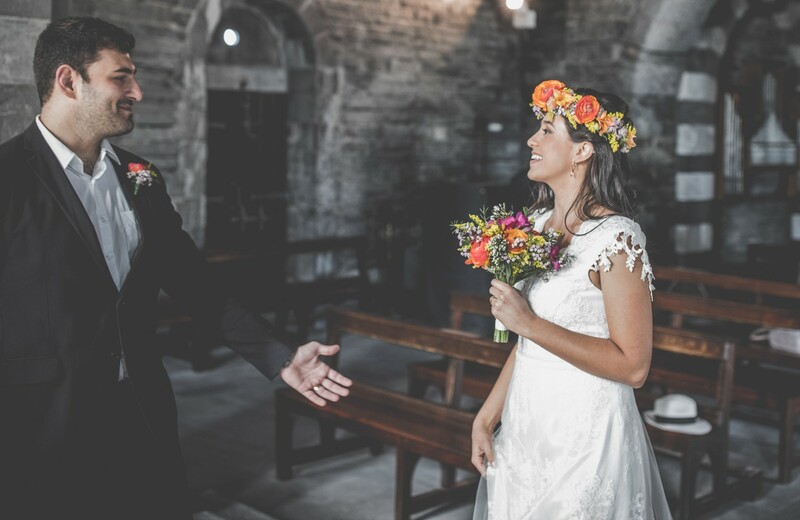 Kim is a designer and had a passion in common with her fiancé Paul: Italy! 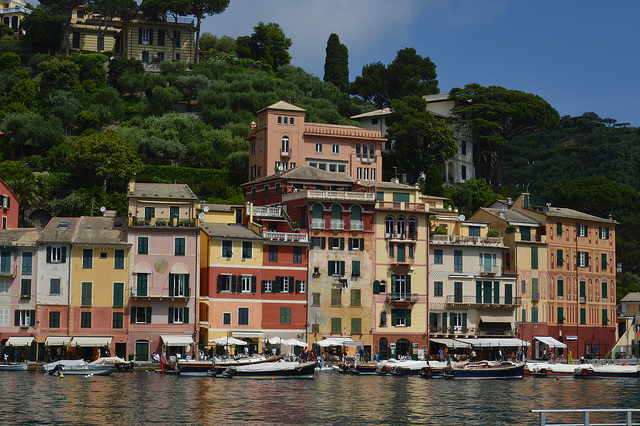 They fell in love with “Bella Italia” after a long holiday there, years ago. 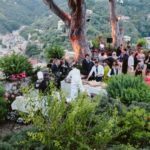 Kim is very creative and has a refined taste: her wedding in Italy (of course!) 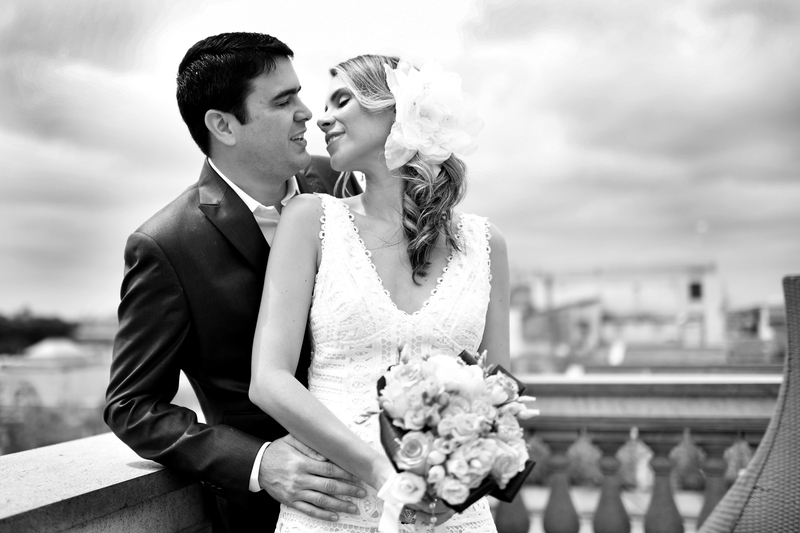 had absolutely to follow her stylish “credos” and be the top in exclusivity and elegance. 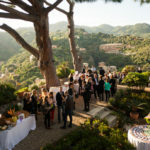 We immediately thought to exclusive Portofino as ideal location of this important event. 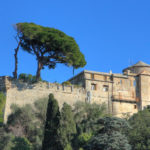 We proposed them to stay in the most beautiful hotel of the town, and they immediately accepted, not only because it hosted many national and international celebs, but for its refined elegance and its stunning position on a cliff over the sea. Indeed a dreamy accommodation, as also the wedding location had to be. 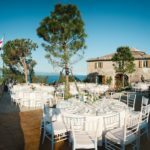 Kim and Paul were literally enthusiast when we suggested them Castello Brown, a magnificent castle overlooking the sea, with an amazing view over Portofino bay. 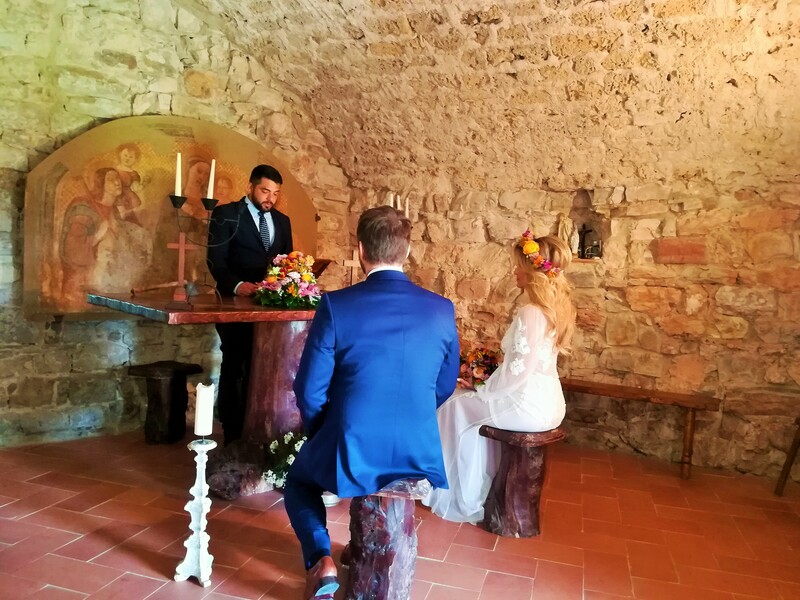 The castle is property of the town administration, therefore it is possible to celebrate in a suggestive room civil weddings valid al legal effects. Luckily, after a morning rain, the day had turned perfect, the sky was clear and the air was warm, so the evening cocktail on the terrace, with all sorts of Italian delicacies, was a great success. Finally…romantic, shining fireworks! The perfect end of a perfect day, which sealed the union of a special couple come from the opposite part of the world.